Red Rocks Amphitheater is proud to present the very best in entertainment, and this event is no exception! Make sure you see the sensational The Motet & BoomBox on Saturday 2nd June 2018 – it's going to be one hell of a show! Believe the hype! Tickets on sale now! Get yours today! "The Motet is a band of pros, and most everyone got their chance to explore during extended solo sections. Guitarist Ryan Jalbert took off for a searing solo during “Damn,” while keyboardist Joey Porter crooned on his signature talkbox during “So High.” Bassist Garrett Sayers’ pocket was locked in as always, especially during the highlight of the night “Rynodub,” which saw the band return to their deep instrumental roots. Divinsky has really found his comfort zone with the band, and his silky falsetto shined on new tracks like “Fool No More” as he boogied around center stage." 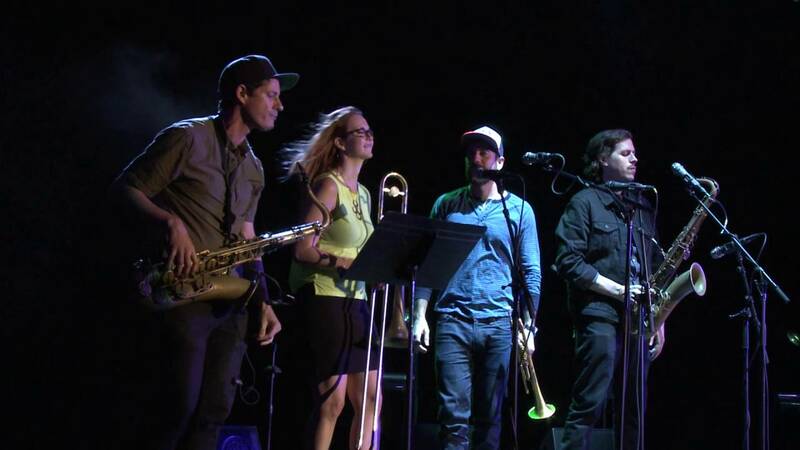 The Motet give an effortless feel good blend of; funk, afrobeat and jazz influenced group based in Denver, Colorado. As one of the most popular bands to see right now, fans are eagerly getting prepared to catch them live as they take to the road for the summer of 2018! With ten years under their belts, The Motet sure know how it's done! These guys are of course; drummer and bandleader Dave Watts, The Motet is Watts, guitarist Ryan Jalbert, bassist Garrett Sayers, keyboardist Joey Porter, trumpeter Parris Fleming, vocalist Lyle Divinsky, and saxophonist Drew Sayers. Some of the best performances have been in outdoor venues such as Red Rocks and festivals such as the popular; Bonnaroo, Electric Forest Festival, High Sierra Music Festival, North Coast Music Festival, Wakarusa, Summer Camp Festival and more… come and catch them while you can! !